Totem Fitness promotes a healthy lifestyle as more than just going to the gym and eating well. For our team, Health & Fitness is not an afterthought but a way of life and something that they want to share their deep passion in. With lifestyle in mind, optimal health and fitness is what we aim to provide to our community. However, to achieve these results, we seek to take a deeper to view and approach fitness journey as a lifestyle choice and, not just another quick fad diet or fitness craze. 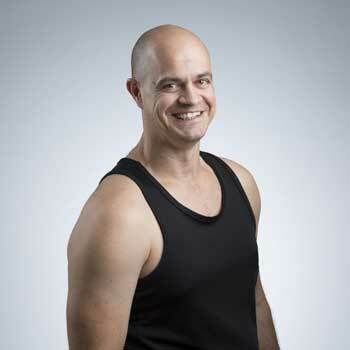 The Totem Fitness way is a culmination of Head Trainer, and Totem Fitness Director, Brendon’s own fitness journey. It is one that has seen him not only reach peak military fitness through the most austere conditions in the deserts of Afghanistan and 3rd world conditions in Timor Leste, but to overcome numerous health setbacks and injuries with a positive lifestyle balance. Encompassing the philosophy via the three pillars of Mind & Body = Strength. Totem Fitness approaches fitness from a holistic standpoint. The result is balanced lifestyle shift that not only has the power to transform your body from the inside out but will also transform the way you view fitness. As a highly dedicated and passionate coach, Head Trainer Brendon crafted his fitness skills and honed a resolute mindset during the 15 years he spent in the Australian Army. It was his own life experience as a soldier, and a leader, that shaped the Totem Fitness philosophy of 'Mind plus Body equals Strength. Delivering on that philosophy, Brendon aims to guide Totem Fitness members on a journey which helps them realize that proper Health & Fitness is more about lifestyle choices and not fad diets, or gimmicky fitness routines.